Your Bundles is an independent one-stop-shop for anyone looking to get into a new passion or hobby in a simple, convenient & affordable way. Customers are encouraged to create bundles of products, increasing their available discount with every extra product added to their basket. Initially, the company has started with a focus on skateboarding, with the intention of expanding to stock products from a range of hobbies and interests. Prior to contacting us, Your Bundles had no brand identity or online presence allowing the team to get creative and, with the help of the client, create something that looks great, performs well, and suits the target audience. First, a clean, simple and contemporary brand identity was created by our branding specialist which would then inform the aesthetic of the website. 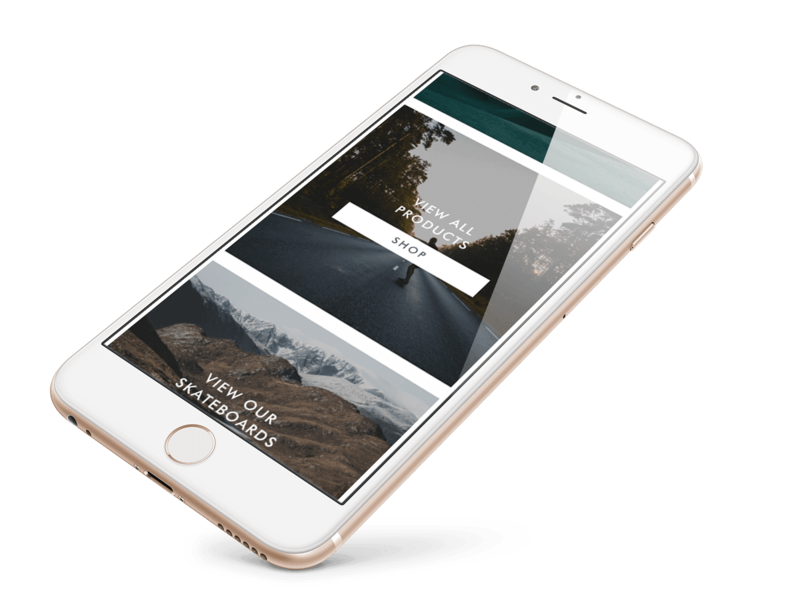 The client specified that they wanted a minimalist and simple to navigate site without using masses of words to get their message across. 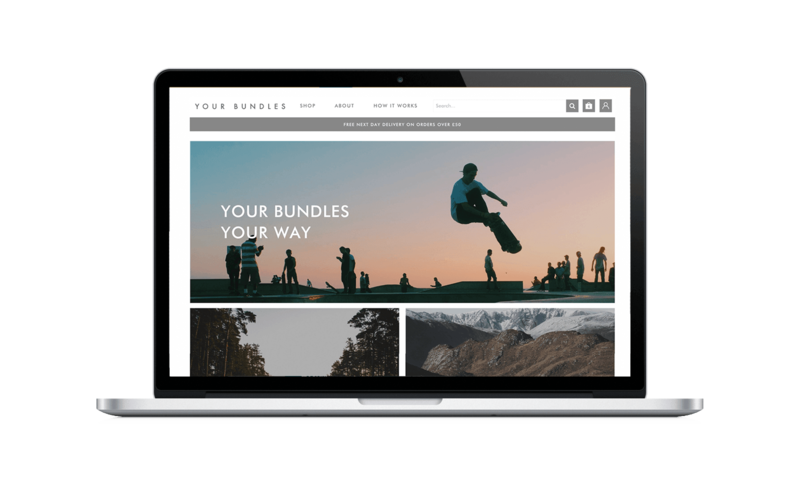 From the brief, our web team developed what is now the Your Bundles website, featuring blocked elements and minimal, necessary amounts of text, allowing the images and ease of use to guide the user to the shop and ultimately towards a purchase. The shop itself required a comprehensive and robust e-commerce system, featuring a variable discount for a wide range of products and combinations. Our developers were able to create and implement this system to the online shop and it has been a great success so far. Loaded with a new website and a clean & simple brand identity, we’ve seen a sizeable increase in website traffic, online purchases and positive feedback since the project was completed. 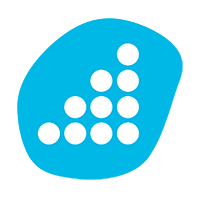 Check out the live project below!